You brought it up. The onus is on you. Lol. I’ve read it. I’d like a company response. The onus is on the company that took my money for a bad product. Nor do I care for your tone. I’m not here to serve you or curry your favor. I’d like a company response. Hard to give a response when we can't find the report. From a quick look at the site (no I'm not going to join) they have Malwarebytes wrongly classified under 'Anti-Virus' so of course it doesn't tick the usual AV boxes. If you try to compare a motorbike against a bunch of trucks then it's not going to tick the same boxes because it's meant to do a different job. What they said was, "Opening your wallet does not guarantee you a better product. The $60 Malwarebytes Premium and $50 Dr. Web Security Space suites both scored lower than Windows Defender without offering any meaningful extras. The $50 G Data Internet Security - 2018 at least had email protection and spam and parental filters." Personally - I think the product is great. No Informative help - For most users, it's a "set it and forget it" product that silently does what it should - keeps you safe. So, despite Consumer Reports review, what you do get is a product that is one of the best at keeping you safe. Doesn't matter if you call it a virus, malware, hacked, breached, exploited, potentially unwanted program, potentially unwanted modification - we all have an idea of what we want and expect our computers to do. Malwarebytes does an incredible job of keeping the computer doing exactly what you expect it to do, and nothing it shouldn't do, with no surprises. And, yes, I've had problems with Malwarebytes. I've actually had some very serious problems in a corporate environment with Malwarebytes due to errors on their part. It hasn't all been a lovely joy ride. And I do see all the enquiries on the forums here with people having problems. Sometimes a computer is messed up, or, just has an unusual configuration and you may need MB's tech support to help you out. I can't think of any product that when you release it to the masses, 100s of thousands of users (or more), that will always work just right. It is not possible, provided the program does anything of notable complexity. Computers are just too complicated due to a huge number of variables and possible configurations. Windows and OS X aren't close operating systems (kind of like iOS). You can modify Windows/OS X in so many ways (hence the term PC - personal computer - you can personalize it to your liking), and programs can modify the computer in more ways than could ever be conceived - even by those who write the operating system. So, in the end, you try to find the programs that overall, have a good track record, and, the one that works best for you. For all the computers I've had and supported, I know a lot of IT techs, myself included, rely on Malwarebytes and are grateful the product. In the end, it makes our lives easier. Ok - now go ahead and bash me for my views. Most of the "Lows" listed are features you would expect in an Antivirus Internet Security suite, and/or are just plain bloat. Does not have an informative help? There's a ? icon on the right of every section in the Settings and if you click on it, you're being taken to the online help with all the information you need. Weak at detecting malware in a scan? Since when is Consumer Reports an authority in independant Antivirus and Antimalware testing? What's their methodology? Where are the tests results? How many samples did they use? Were the tests done in real-world situations? Every single Antivirus and Antimalware on the market will require a full restart to complete a disinfection. If you're attempting to remove rootkits for instance, the ones that loads on startup and are protected when Windows is running, you can only do so either before the shutdown of the system, or really early in the boot, before they get started. So I'll assume that every single Antivirus and Antimalware tested by Consumer Reports get this in their "Cons" by default. See my reply for the "Weak at detecting malware in a scan". Malwarebytes isn't an Antivirus, and therefore have no use for such options. Personally, parental filters don't even belong in Antivirus and Antimalware products anymore, but in specialized software, hell, even routers. Once again, Malwarebytes isn't an Antivirus. Also, Emsisoft recently dropped their firewall component from their product as well, because since Windows 7, the Windows Firewall does a really good job by itself. Useless bloat. You'll actually see online that a lot of users are against companies that bundles features like this (password manager, back up, etc.) in their Antivirus products to raise the price, when you could (and should) use dedicated solutions for these aspects. I would trust LastPass, KeePass, 1Password, etc. anyday over the password manager of an Antivirus, since it's NOT their speciality, nor what they strive to deliver. My reply above applies for this as well. Once again, Malwarebytes isn't an Antivirus. Your email protection should come from your email provider directly (Outlook, Gmail, Yahoo, etc), it's their job after all. For business purposes, you should have a business grade email security product (ie: ProofPoint, Barracuda, etc). Also, you can be sure that if you receive an email with an infection attachment, Malwarebytes will still be there to prevent it from infecting your system, and this via 4 different layers. So yes, you do have "email protection". tl;dr: It looks like Consumer Reports doesn't know a lot when it comes to security products and learn the different between Next-Gen products and Traditional Products. And, as the person who writes the user guides, I can assure you there is informative help for every single product Malwarebytes makes. the three to date substantive replies do a lot to allay my concerns. I’m not independently able to judge the merits. Which is why I belong to consumer Reports. Per the responses, it’s wrong on this one. They’ve been wrong before. I bought my 1972 fiat on their recommendation: worst car I ever owned. I knew that the author didn't fully understand how malware removal and malware in general works, which basically voided his whole review in my book. Since when is Consumer Reports an authority in independent Antivirus and Antimalware testing? What's their methodology? Where are the tests results? I respectfully ask you to post a link from " an authority in independent Antivirus and Antimalware testing" where MBAM was tested , so we can see the tests results. Malwarebytes does not have all this crap for a reason, most of it is bloat. And since when is Consumer Reports an authority in malware protection , I might trust them if I;m buying a car or stove, report is a joke. If you want credible advice on malware protection there are much better sites. Which is why I belong to consumer Reports. Per the responses, it’s wrong on this one. They’ve been wrong before. I bought my 1972 fiat on their recommendation: worst car I ever owned. You freely admit that they are giving wrong advice, which you yourself have fallen foul of - but you are still a member and are still trusting their judgement? Personally I don't see the logic there, if someone gives you bad advice you don't listen to them again, or at least listen with scepticism. Malwarebytes' Premium version isn't meant as a standalone Internet protection product. We tested it with the default Windows Defender enabled, and it did not fare as well as Windows' own protections overall. A fee-based anti-malware suite for Windows. A renewal fee is required each year. What is "Startup repair"? Do they mean the early pre-boot/early phase boot scan that some AV/AM tools use as a means of removing difficult persistent threats like rootkits? If so, then actually Malwarebytes does have it, but it doesn't need to be initiated manually as a separate function/tool by the user (something that actually might not be possible on a badly infected system). It has tech built in to launch a rootkit scan on reboot if deemed necessary due to infection blocking the rootkit scanning driver and its built in DOR (Delete on Reboot) technology likewise works early in the boot process to remove threats before they can execute (something they oddly complained about as a disadvantage in remediation, yet eliminates the need for something else they claim Malwarebytes lacks). I think they need to see real world attack/remediation scenarios and observe how Malwarebytes handles them vs other products against the same threats. There's a reason you see infected users all over the world being told to run Malwarebytes as one of the first steps to cleaning up their systems. It does things differently from other vendors for a reason, because it works. OK, where can we see that???? It does things differently from other vendors for a reason, because it works. Who certified that "it works"? Any link /anytime /anywhere????? yup. It worked for me. Any link = this post.. anytime = just now. anywhere - hmm.. I don't travel much. I've even seen Apple has now started telling users to use MB if they have reason to believe their Mac has malware/pup/pum. 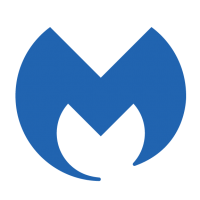 You can see it here on our own forums across the MB3 support area as well as the malware removal area and across all other forums where people are using Malwarebytes to clean systems. Then I must be wrong and all those posts on MS Technet, Majorgeeks, BleepingComputer, WildersSecurity, Reddit etc. etc. must be in my imagination. There's nothing wrong with HMP, and yes, I certainly see it recommended often as well, but I see Malwarebytes recommended just as often (more, actually, but trying to quantify personal experience vs legit statistical data is pointless and since I only have the former, I can't back up my claim with facts which is why I posed it as a question in the first place so that the reader may draw from their own experience). How would anyone "certify" it? Maybe by showing where it has detected things that got past some of the top tier AV products that always perform excellent on these so-called certification tests. Something like this page which pulls data from real-world systems in real-time meaning it's not some testbed of dated samples pulled by a single tester trying to standardize some small set of threats and claim that it's a comprehensive view of the efficacy of a group of products. That map shows real-world systems where those AVs are installed and shows where the user ran a scan with Malwarebytes and where one or more threats (actual malware; PUPs and PUMs are not included in the results/are not counted) was detected, meaning the threat got passed the AV and a Malwarebytes scan caught it (a Malwarebytes scan which only uses a couple of the components that Malwarebytes Premium users get to prevent threats, so it isn't even counting threats that the paid version might have stopped via those additional modules like Exploit Protection, Web Protection and Ransomware Protection). How would anyone "certify" it?